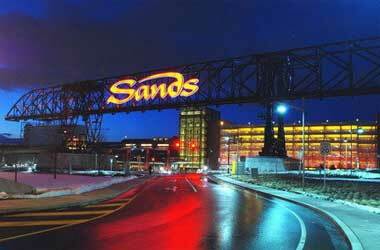 A deal between MGM Resorts International and Las Vegas Sands for the sale of Sands Casino Resort Bethlehem is under process according to sources close to the matter. MGM Resorts will be acquiring Sands Casino for a sum of $1.3 billion reportedly. Sources said that although major issues have been sorted, the deal will be finalized after necessary due diligences carried out by both sides is completed, which might take a few weeks. The deal will result in Pennsylvania’s most successful casino changing hands to the country’s second largest casino group. Closing the deal could take around six months as it will need approval from the Pennsylvania Gaming Control Board. By adding the Sands Bethlehem Casino to its portfolio, MGM Resorts would expand its footprint in the country. The company recently launched the MGM National Harbor in Maryland and is currently developing its MGM Springfield casino in Massachusetts at an investment cost of $950 million MGM Springfield is slated to open in 2018. The company also operates Atlantic City’s most successful casino, the Borgata. For Las Vegas Sands the sale is advantageous because the casino is its only regional property in a portfolio filled with destination resorts. Further, Pennsylvania is considering a proposal to expand internet gaming to all forms which is not supported by Las Vegas Sands. In a recent hearing on the bill, while majority of casino officials spoke in support of the measure, David Cookson, an attorney from the Coalition to Stop Internet Gambling, a group controlled by Sands Chairman Sheldon Adelson said that Internet gambling would replace casino and construction jobs.